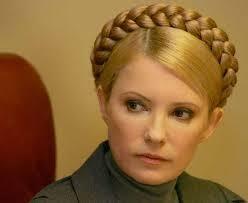 Today, the Court issued its judgment in the very sensitive case of Yuliya Tymoshenko, the currently detained former prime minister of Ukraine. Tymoshenko's predicament has already led to political tensions within Ukraine, obviously, but also between Ukraine and other countries (as well as the EU). The Court now adds its voice to the chorus of criticism, by finding a number of violations. Most importantly, it held that the detention was arbitrary (several violations of article 5 ECHR) and a violation - very rare - of Article 18, the provision which holds that "shall not be applied for any purpose other than those for which they have been prescribed." No violation of her detention conditions (Article 3) was found, although the Court was divided on the latter issue. Although the judgment in itself is a quite damning verdict on the state of the rule of law in Ukraine, the concurring and dissenting opinions go even further in pointing at some very problematic aspects. The press release can be found in Englis here and in Ukranian here. 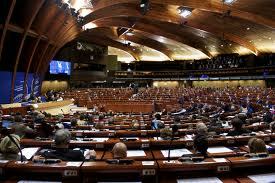 Today, just before the start of the weekend, the Parliamentary Assembly of the Council of Europe (PACE) approved Draft Protocol 15 to the ECHR. With a large majority it voted in favour. Without any amendment being necessary in the view of PACE, the Draft Protocol can now be adopted by the Committee of Ministers at its next session and be opened for signature and ratification. For more on Protocol 15, see my earlier post here. For the press release of PACE, see here. The Academy of European Law (ERA) is organising a seminar in Strasbourg on 20-21 June on 'The European Convention’s, European Court of Human Rights’ and national courts’ roles in improving conditions related to detention.' The seminar will analyse the roles of the European Convention on Human Rights and the European Court of Human Rights, as well as that of national courts, in improving conditions related to detention. It is geared towards judges, prosecutors, lawyers in private practice, ministry officials, and officials from judicial training institutions, prison administrations, the probation system and prison monitoring bodies. For more information, see here. At the start of this week, the Grand Chamber of the European Court of Human Rights upheld the United Kingdom's ban on political advertising for TV and radio in Animal Defenders International v the United Kingdom. The NGO Animal Defenders International had been refused permission to have their commercial aired, which was geared against the use of animals for commercial and leisure reasons (circuses, zoos, advertising) and scientific testing. For many reasons this is a very interesting judgment, not in the least because the Grand Chamber was divided to the bone and one can sense some of the intense discussions that must have been going on in the Court from the various separate opinions. In addition, one may wish to compare and contrast the European Court's treatment of the issue to that of the US Supreme Court a few years ago (Citizens United). More or less explicitly, the judgment also reveals different ideas about the democracy and the role of freedom of expression therein. Although the judgment deviates from previous case-law, I tend to agree with the (very slight) majority's concern over the risks posed by "wealthy bodies with agendas being fronted by social advocacy groups created for that precise purpose" (para. 122). This does not mean that such a kind of ban would offset any undue influence, since other media are still open, nor does it address more indirect, less open ways of influencing and lobbying of course. Although some of the dissenters state that a "robust democracy is not helped by well‑intentioned paternalism", one may also not wish to end up in the situation which currently exists in the US where paternalism (in this particular sense at least, not in others) may be absent and where democracy is seen to be robust, yet intensely flawed amongst others because of political advertising. Whatever one may think of it, the issue is very difficult obviously, since a general ban also has huge disadvantages. Lawyers and academics studying law may instinctively be more drawn to systems in which every instance can be individually assessed by a judge rather than by general bans. It would therefore also be interesting to see what media researchers would make of this ban and this judgment. Also, behind the different views lie different philosophies about human nature and about the extent to which one can trust the state. Another aspect is that the emphasis put on the margin of appreciation and the exacting review of the UK's ban both by Parliament and the judiciary, may be seen by some as either a form of judicial dialogue ("listening" to what national judges and authorities say) or as a form a cautious judicial politics after the stand off in the prisoners voting cases. - European Courts Blog, 'Free speech, politics and animal rights'. The press release of the judgment can be found here. The Russian edition of the Court’s anniversary book The Conscience of Europe: 50 Years of the European Court of Human Rights is being launched today in Moscow in the presence of representatives from governmental bodies, legal professions, civil society and various media outlets. The Court’s anniversary book was published in early 2011 – with the help of a generous contribution from the Ministry of Foreign Affairs of the Grand Duchy of Luxembourg – to conclude the celebrations marking the Court’s 50th anniversary in 2009 and the 60th anniversary of the European Convention on Human Rights in 2010. The original editions in English and French are no longer available from the publisher but can be downloaded from the Court’s Internet site. Excerpts from the Russian edition will also be made available online at a later date. * In Aswat v. the United Kingdom the Court held that a detainee with paranoid schizophrenia could not be extradited to the United States. Aswat, who had been charged in the US as a co-conspirator in a conspiracy to establish a jihad camp in Oregon, would have face potentially very high penalties and possible detention in solitary confinement in a maximum security facility. What is interesting about this judgment is that these latter factors by themselves would not subject a person extradited to the US to treatment contrary to Article 3 ECHR. Indeed, the Court had decided this in Babar Ahmad and others v. the United Kingdom, earlier this month (a case from which Mr Aswat's case was originally part, but later detached). In Aswat the Court is therefore as explicit as it possibly can to stress that his mental condition was the sole reason that he could not be extradited. In the UK he was detained in a high security psychiatric hospital. As the Court noted, a "different, and potentially more hostile, prison environment would result in a significant deterioration in his mental and physical health" (para. 57) to he extent of potentially reaching the Article 3 threshold. * In Mo.M. v. France, the Court held that France could not send back to Chad an asylum seeker whose request for asylum had been rejected. The applicant had argued that he would face a real risk of inhuman and degrading treatment if being sent back to Chad, since he was suspected of having collaborated with the rebels in neighbouring Darfur in Sudan and had earlier already been tortured in Chad. On the general situation, the Court noted that in spite of a peace agreement between Chad and Sudan, the situation remained very tense, with all the accompanying risks for people suspected of collaboration. On the applicant's personal situation the Court held that medical certificates indeed established hat he had been tortured and that his particular profile (an arrest warrant having been issued against him in Chad and his open activities in France for a Chadian opposition party), made the risk of ill-treatment real. One may note that the Court also chastises the French authorities: the Court normally does not want to place itself in the shoes of the national authorities to adjudicate such a situation, but since the asylum request was refused without much explanation ("une motivation très succincte" and "aucun élément explicatif", para. 41) it is different here. National authorities, it once more becomes clear should thus argue their decisions, also in asylum cases. In addition, the Court indicates that although the applicant had initially requested asylum under a false identity - and no matter how much also the Court may criticise that - this in itself is not a sufficient reason to reject an asylum claim if there is evidence presented during such a demand for asylum that a real risk of treatment contrary to Article 3 exists (para. 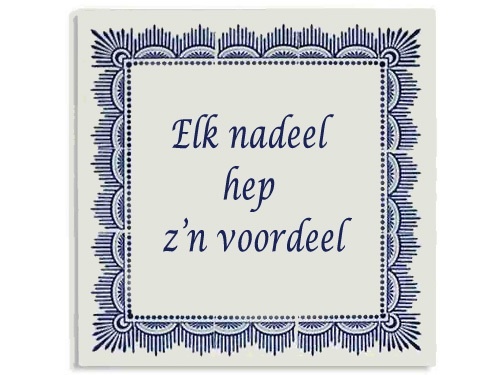 41). Since this latter issue is a problem in many state parties, this part of the judgment may prove to be important for the practice of dealing with asylum claims. This judgment is available only in French, but a press release in English is available here. * Finally, the Court also declared a complaint inadmissible: Mohammed Hussein v.the Netherlands and Italy. In many ways this is a situation comparable to the now famous M.S.S. v. Belgium and Greece case of last year, in which the Court held both states to account. Here as well, the European Union's Dublin Regulations, which provide that an asylum seeker can be returned to the first country of entry in Europe in order to process the asylum request there, were the trigger for the situation. A Somali asylum seeker (originally alone, but since then two children were born) had entered Europe through Italy and then travelled on to the Netherlands. The Court held that even though there were shortcomings in Italy's reception schemes for asylum seekers, these were not so deficient or systematic that they reached the threshold of Article 3 (and here one may note a stark contrast with the Courts' conclusions on conditions in Greece in M.S.S.). Although the Court also assessed the personal situation of Ms Mohammed Hussein, the decision will more generally be important for all states who under the Dublin regulations are in the process of sending people back to Italy. For an up-to-date discussion of migration and returns in the EU context, with comparisons to US and ECHR case-law, see: Nicholas Hatzis, 'Detention of Irregular Migrants and the European Public Order', European Law Review, issue 2 (2013) pp. 259-276. Owing to the overwhelming number of applications before the European Court of Human Rights (ECtHR), Draft Protocol No.16 proposes the introduction of a new advisory opinion procedure. 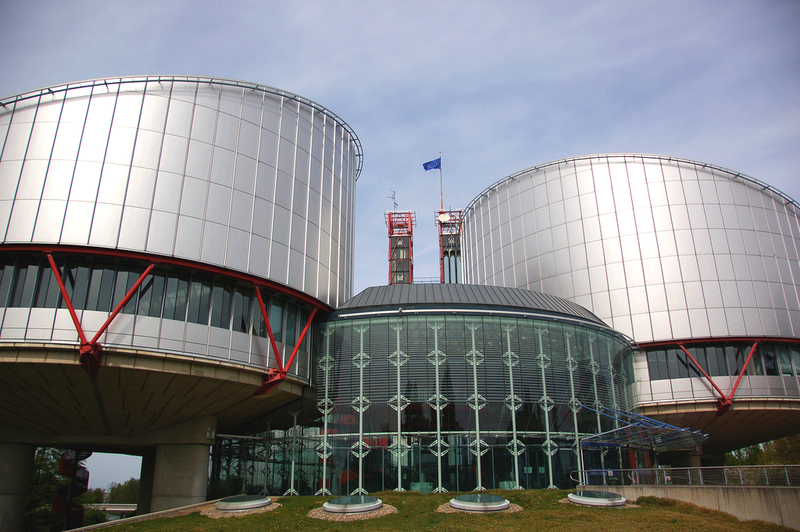 This procedure aims at alleviating Strasbourg’s judicial workload by enabling the domestic courts of the contracting parties to request advisory opinions on alleged human rights violations, which could in turn serve as precedents for future applications. The principal purpose of this article is to present the most important provisions and legal consequences of the newly proposed advisory opinion procedure; but also, as this procedure draws certain inspirations from the European Union’s preliminary reference procedure, the article aims to contrast these provisions with their respective counterparts in EU law (with respect to both the implications and legal effects of art.267 TFEU (ex art.234 EC) and Court of Justice case law); to examine the similarities and differences between those two mechanisms; to show legal difficulties that may arise owing to the proposed advisory opinion procedure; and to explore the extent to which Strasbourg could use Court of Justice case law to develop its advisory opinion jurisdiction further. 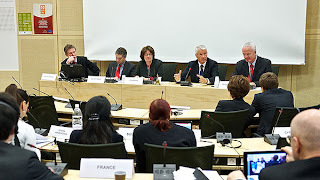 On 15 April 2013, a number of well-known and highly respected NGOs including Human Rights Watch, European Human Rights Advocacy Centre, Helsinki Foundation for Human Rights and others sent an open letter to the Ministers of Foreign Affairs and Permanent Representatives of all member states of the Council of Europe urging them to change Article 1 of the new Protocol 15. In the letter, the NGOs criticise the wording of the provision. According to Article 1 of Protocol 15 the following statement should be added to the Preamble of the Convention: “Affirming that the High Contracting Parties, in accordance with the principle of subsidiarity, have the primary responsibility to secure the rights and freedoms defined in this Convention and the Protocols thereto, and in doing so enjoy a margin of appreciation, subject to the supervisory jurisdiction of the European Court of Human Rights established by this Convention.” This amendment is the direct consequence of the Brighton Declaration (2012) according to which “for reasons of transparency and accessibility, a reference to the principle of subsidiarity and the doctrine of the margin of appreciation as developed in the Court’s case law should be included in the Preamble to the Convention…” (para 12b). The letter of the mentioned NGOs emphasises that the doctrine of the margin of appreciation is not applicable in relation to certain rights enshrined in the Convention and that this aspect of the doctrine is not properly reflected in the wording of Article 1 of Protocol 15. They mention that “the current text of Article 1 of draft Protocol 15 is open to interpretation contrary to … long-standing reality of the Court’s practice when it makes the unqualified assertion that when implementing the Convention rights and freedoms states “enjoy a margin of appreciation”, thus appearing to ignore that no such margin of appreciation exists when it comes to implementing provisions such as those on the prohibition of torture or slavery”. The NGOs suggest changing the wording of Article 1 of Protocol 15 from “the States enjoy a margin of appreciation” to “the States may enjoy a margin of appreciation”. To my mind this battle around the margin of appreciation is much ado about nothing. The doctrine of the margin of appreciation was developed by the European Court of Human Rights itself, without this doctrine being mentioned in the Convention. The Court has been applying this doctrine since the Handyside case in the 1970s. It is unclear how the reference to the margin of appreciation in the Preamble to the Convention will influence the interpretation of the Convention by the Court. One can recall that the Court mentions the Preamble quite rarely and one can argue that it has predominantly a rhetorical value rather than a legal one. One can, however, suggest that after been included into the Preamble the doctrine of margin of appreciation will be more often invoked by the member states both in their submissions to the Court and in public speeches. Having said that, the states’ officials use the margin of appreciation extensively in their rhetoric without it being a part of the Preamble. Before turning to the amendment suggested by the NGOs, I would like to briefly summarise the meaning of the margin of appreciation. Despite being used in a significant number of cases, the definition and the boundaries of the margin of appreciation cannot easily be established. The Court has never clearly defined what it means by ‘margin of appreciation’. In academic literature, the margin of appreciation has been defined as ‘the latitude allowed to the member states in their observance of the Convention’ or as a way to distinguish matters that can be decided at the local level from the matters that are so fundamental that they should be decided regardless of cultural variations. Another reason why the mentioning of the margin of appreciation would have little impact is because it is hardly possible to clearly define where the margin of appreciation ends and the Court’s supervision begins. As Lord Lester famously stated, the margin of appreciation is as slippery and elusive as an eel. The draft Brighton Declaration which was proposed by the UK suggested inclusion of the definition of the margin of appreciation in the text of Convention. This suggestion luckily was not adopted because it would have been a legal drafting disaster as mentioned above. It seems that the letter from the NGOs is designed to minimise the damage of explicitly including the doctrine of margin of appreciation in the Preamble - an inclusion which I believe will not have noticeable effects anyway. The amendment suggested by them will do even less than the inclusion of the doctrine of the margin of appreciation itself. The NGOs mentioned that the doctrine of the margin of appreciation is not applicable in relation to some provisions of the Convention (the prohibitions of torture and slavery). One should recall, though, that these articles enshrine procedural obligations and not only substantive ones. It is clear from the Court’s case law that there is no margin of appreciation in relation to the question of whether to torture someone or not but the State can have some margin in deciding what the best way is to investigate torture. Alternatively in relation to slavery – there is no one uniform legal regime in implementing the prohibition of slavery – the States are able to choose between certain alternatives. * R. Stone, 'Deprivation of liberty: the scope of article 5 of the European Convention of Human Rights', pp. 46-57. * A. Green, 'A philosophical taxonomy of European human rights law', pp. 71-80. * R. O'Connell, 'The right to work in the ECHR', pp. 176-190. * A. Khan, 'A "right not to be offended" under article 10(2) ECHR? Concerns in the construction of the "rights of others"', pp. 191-204. * N. Croquet, 'The right to self-representation under the European Convention on Human Rights: what role for the limitation analysis? ', pp. 292-308. * T. Antoniou, 'The right to the presumption of innocence versus the right to freedom of expression in Parliament: the European Court of Human Rights judgment in Konstas v Greece', pp. 319-326. * N. Mole, 'The complex and evolving relationship between the European Union and the European Convention on Human Rights', pp. 363-368. * A. Weiss, 'EU accession to the European Convention on Human process: the state of play and the added value for victims of human rights violations in Europe', pp. 391-396. * L. Miara and V. Prais, 'The role of civil society in the execution of judgments of the European Court of Human Rights', pp. 528-537. * M. Pitkänen, 'Fair and balanced positive obligations - do they exist? ', pp. 538-550. * M. Spurrier, 'Gillberg v Sweden: towards a right of access to information under Article 10? ', pp. 551-558. * N. Mavronicola, 'Güler and Öngel v Turkey: Article 3 of the European Convention on Human Rights and Strasbourg's discourse on the justified use of force', Modern Law Review, vol. 76, no. 2 (2013) pp. 370-382. * S. Pei, 'Unveiling inequality: burqa bans and nondiscrimination jurisprudence at the European Court of Human Rights', Yale Law Journal, vol. 122, no. 4 (2013) pp. 1089-1102. * F. de Londras and K. Dzehtsiarou, 'Grand Chamber of the European Court of Human Rights, A, B & C v Ireland, Decision of 17 December 2010', International and Comparative Law Quarterly, vol. 62, no. 1 (2013) pp. 250-262. * P. Kearns, 'The judicial nemesis: artistic freedom and the European Court of Human Rights', Irish Law Journal, vol. 1 (2012) pp. 56-92. Protocol 14 to the European Convention on Human Rights (ECHR) introduced a new admissibility criterion: the lack of a significant disadvantage. The criterion, included after long and very principled discussions about the accessibility and effectiveness of the European system of human rights supervision, will be the object under scrutiny in this contribution. The main issue under review will be whether the concerns in the run up to the introduction of this admissibility have materialised. Has the practice of the Court in applying the “lack of a significant disadvantage” as a threshold at the entrance of the European system indeed endangered the access of individual applicants to the Court? In order to answer this question I will first look at the discussions which led to the creation of this criterion. Subsequently, its scope and application will be addressed by looking at the jurisprudence of the Court. 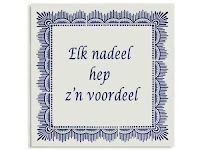 The quote on the tile is from Dutch soccer legend Johan Cruijff: each disadvantage has its advantage. It has taken some time, not just because of the legal complexities but also because of political reasons, but now it is finally there: this past Friday the Draft Agreement on Accession of the European Union to the European Convention on Human Rights (see page 4 and further for the Agreement itself) was finalised. Negotiations had started in July 2010, but the idea had been floated as early as the 1970s. Under he more recent the Treaty of Lisbon, accession became a legal obligation for the European Union. No wonder then, that the press release of the Council of Europe speaks of a "milestone reached". “This is a decisive step, paving the way to EU accession to the European Convention of Human Rights. It will contribute to the creation of a single European legal space, putting in place the missing link in the European system of fundamental rights protection”. The meeting report of the final negotiations between the Steering Committee for Human Rights (CDDH) of the Council of Europe and the European Commission can be found here and the final report to the CDDH can be retrieved here. Are we there yet, then? No, not at all. As required under internal EU law, the Court of Justice of the EU will now be asked to give its opinion, since this is an international agreement between the Union and other parties. After that the Council of the European Union will unanimously have to agree (these are the state representatives, as opposed to the Commission which undertook the negotiations). And then of course, all ECHR state parties will have to ratify as well. Please note that the Draft Accession Agreement is the key text within a wider package. There will also be a draft declaration by the EU; a draft Rule to be added to the Rules of the Committee of Ministers for the supervision of the execution of judgments and of the terms of friendly settlements in cases to which the EU is a party; a draft model of Memorandum of Understanding; and a draft explanatory report to the Accession Agreement. As to substance, the Draft Agreement specifies that the EU will accede to the ECHR itself and to additional Protocols 1 (on property and education amongst others) and 6 (abolition of the death penalty in times of peace). Other Protocols with substantive provisions (e.g. 7, 12 and 13) will thus not apply to the EU. One of the key reasons for this is that these Protocols have not been ratified by all separate EU member states, not even Protocol 13 which abolishes the death penalty under all circumstances - it may come as a surprise, but Poland is the only EU country which has not ratified this Protocol. Thus only those Protocols about which there is full EU consensus are part of this agreement. 3. Accession to the Convention and the Protocols thereto shall impose on the European Union obligations with regard only to acts, measures or omissions of its institutions, bodies, offices or agencies, or of persons acting on their behalf. Nothing in the Convention or the Protocols thereto shall require the European Union to perform an act or adopt a measure for which it has no competence under European Union law. 4. For the purposes of the Convention, of the Protocols thereto and of this Agreement, an act, measure or omission of organs of a member State of the European Union or of persons acting on its behalf shall be attributed to that State, even if such act, measure or omission occurs when the State implements the law of the European Union, including decisions taken under the Treaty on the European Union (hereinafter referred to as “the TEU”) and under the Treaty on the Functioning of the European Union (hereinafter referred to as the “TFEU”). This shall not preclude the European Union from being responsible as a co-respondent for a violation resulting from such an act, measure or omission, in accordance with Article 36, paragraph 4, of the Convention and Article 3 of this Agreement. When the EU will be co-respondent in a case, the Court of Justice of the EU will, in situations in which it has not yet assessed the "the compatibility with the Convention rights at issue of the provision of European Union law" at stake, be given the opportunity to make such an assessment. The parties in the case in Strasbourg will then be allowed to make observations about this assessment. If the violation in respect of which a High Contracting Party is a co-respondent to the proceedings is established, the respondent and the co-respondent shall be jointly responsible for that violation, unless the Court, on the basis of the reasons given by the respondent and the co-respondent, and having sought the views of the applicant, decides that only one of them be held responsible. Participation of the EU in the Parliamentary Assembly of the Council of Europe (when electing judges) and in the Committee of Ministers of the Council of Europe (amongst others when supervising judgments) is also foreseen. For a more elaborate explanation of all the provisions in the Draft Agreement, please consult the Draft Explanatory report (page 16 ff of that document). One can only hope that the entry into force will not take as many years at that of Protocol 14. In any event, a number of key hurdles have been taken, and a considerable number still lay ahead on the long path before we will have a judge in Strasbourg in respect of the EU.